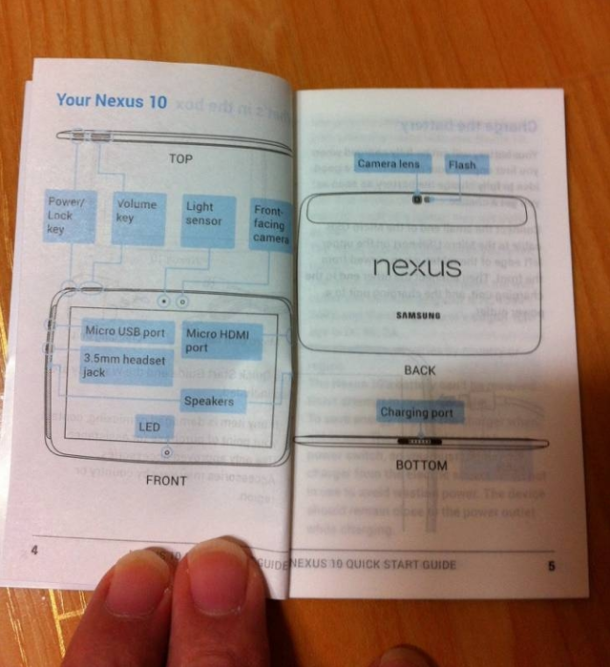 Is this the manual for the Nexus 10? Google can’t seem to keep things secret, at least not in their mobile development department. 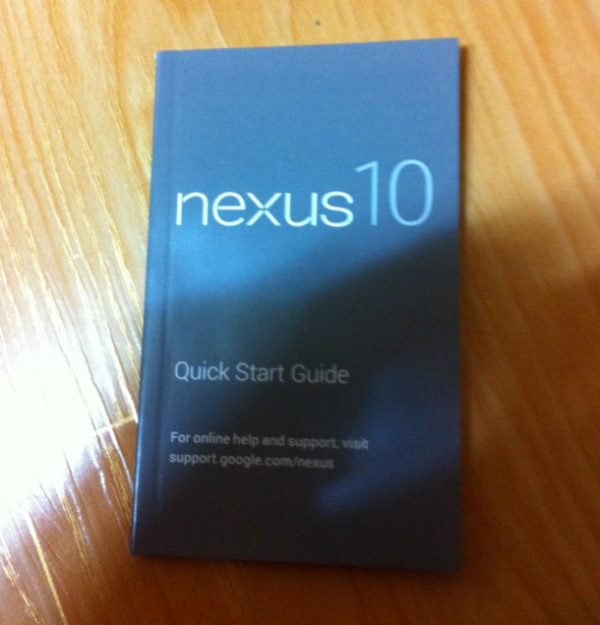 Korean site Seeko has released images today that may be the manual for the upcoming Nexus 10 Android Tablet. The details are slim, and not much in the way of new information can be gleamed from the leak, but let’s break down the information as shown in the images. The standard front and back cameras are in place, as was expected, with a flash next to the back camera. The front facing camera has a light sensor paired with it on the front as well. The only part listed for the bottom of the device is the charging port. A micro-HDMI port graces the right hand side while a 3.5mm jack and micro-USB jack are situated on the left side. Speakers are found on both sides. The only unexpected addition is the apparent strip of plastic on the back of the device around the rear facing camera. This departure from the Nexus 7 design is odd, but apparently plays no functional role.